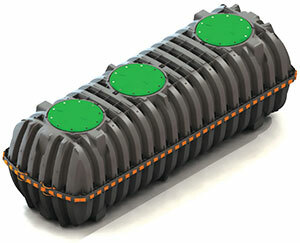 Bright green, lush grass over the septic tank or drain field, even during dry weather. Drain Cleaning – clearing the line leading out to the tank. Percolation Tests – If your leach system may be failing, we can perform a percolation test to measure the soil’s absorbency and determine a course of repair. Septic Tank Replacement- When your tank is undersized, leaking or structurally compromised, we can excavate your old tank and install a new one. 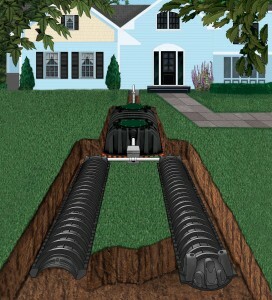 Leach Field Replacement – When the water from your septic tank can no longer be absorbed into the ground due to clogged leach field piping, we can excavate the underground piping and replace the complete system. If you experience a sign of septic system failure, call T.Webber today. Our Septic Experts will provide a thorough diagnostic of your problem, and present you with multiple options for resolution. Fully licensed and insured, our staff is available 7 days a week, to ensure you have the service you need when you need it most.